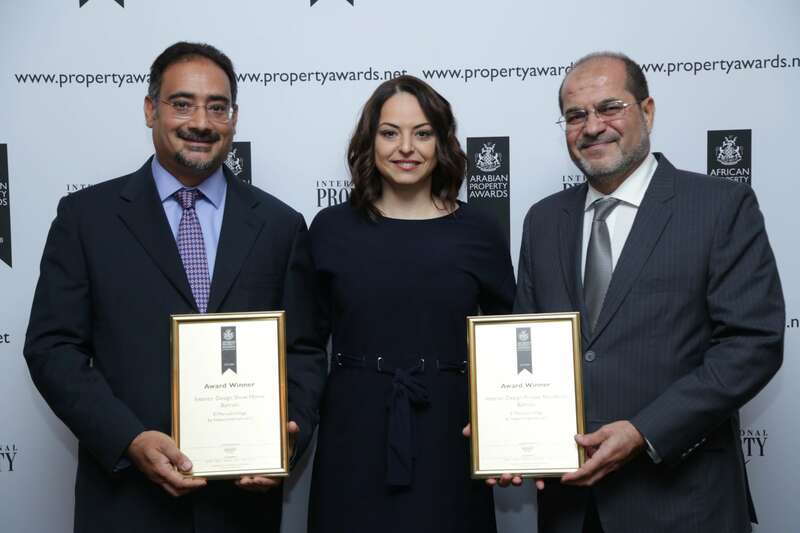 First Bahrain Real Estate Development Co. was honoured at the International Arabian Property Awards for Africa and Arabia at the JW Marriot Marquis Hotel, Dubai on the 7th of September with five awards of distinction for their project, El Mercado Village. The globally recognized International Property Awards celebrate the highest level of achievement by companies operating in all aspects of the real estate industry. El Mercado Village was particularly recognized for excellence in Residential Development and Property – Single Unit Development. The prestigious International Property Awards are judged annually by a panel of over 70 industry experts who focus on design, quality, service, innovation, originality, and commitment to sustainability. The international recognition associated with these awards represents a significant milestone in the history and growth of First Bahrain, a real estate developer with over 1,000,000 square feet of property in Bahrain. Over one third of the 8 premium stand-alone villas and 34 semi-detached homes of El Mercado Village have already been sold. The award-winning interiors are available for viewing now on appointment in the show home. Construction is progressing well with completion expected in December and handover early next year. The signature development is located just north of the Sheikh Isa Bin Salman Highway, offering residents the fastest morning access to Saudi causeway or an easy ride home from Manama. Adjacent to the upscale neighbourhood market, El Mercado Janabiya, anchored by the newest Alosra supermarket, residents will have easy access to restaurants, cafés, salons, a pharmacy and other services, supporting a healthy and high quality lifestyle. The premium villas were designed by Sanad Engineering and are being built by general contractor, Decorators. Impact Interiors has added an elegant touch to the homes with their award winning interior designs. All sales are managed through escrow accounts with Kuwait Finance House.